Napoli will be aiming to stay in the race for the Serie A title when they host Atalanta at their Stadio San Paolo on Matchday 33. The Neapolitans recorded a routine 3-1 win over Chievo at the weekend, with the team melting Juve’s advantage in the standings to 17 points. Hope dies last and we are positive that Carlo Ancelotti’s troops are going to leave their hearts on the field in Monday’s football game against Atalanta. The Orobici have been having their ups and downs in the 2018/2019 season, but they are still in the race for a place in European competitions. Atalanta did well to hold Inter to a goalless draw in their last away game in the Italian top flight, but they will have a much bigger fish to fry against Napoli, who have turned their Stadio San Paolo into a real fortress. Dries Mertens is a Belgian football player born on the 6th of May 1987 in Leuven. Mertens started his football career in the youth of RSC Anderlecht and AA Gent. In season 2005/2006 he made his debut for the first team of AA Gent. After playing for AGOVV, FC Utrecht and PSV Mertens got transferred to Napoli for approximately 9.5 million euro. Mertens made his debut for the Belgian national team in October 2010 and played over 40 games for the national team already. Mertens played during World Cup 2014 and EURO 2016 for Belgium. Mertens is a right attacking midfielder, which can play as a forward as well. Mertens is known for being a very small fast player, which has the ability to get past several defenders and deliver a cross to his team mates. In his career Mertens didn’t win any big prizes yet. The biggest achievements of Mertens are winning the Dutch national cup with PSV in 2011/2012, the Coppa Italia and the Supercoppa in 2014 with Napoli. Atalanta Bergamasco Calcio, better known as Atalanta Bergamo is an Italian football club from Bergamo which was founded in 1907 and is currently active in the Serie A. 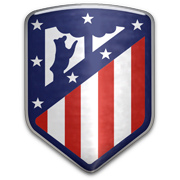 The club host it’s home games in the Atleti Azzuri d’Italia stadium which holds a capacity of 27 000 sats. The club colors of Atalanta Bergamo are blue and black. Atalanta Bergamo holds the nickname Nerazzuri which is the same as Inter Milan. Biggest succes of Atalanta Bergamo was in 1963 where the club managed to win the national cup (Coppa Italia). Atalanta won the Serie B three times (in 1959, 1984, 2006 and 2011). In Europe the club from Bergamo managed to stunt and reached the semi finals of the Europe Cup 2.